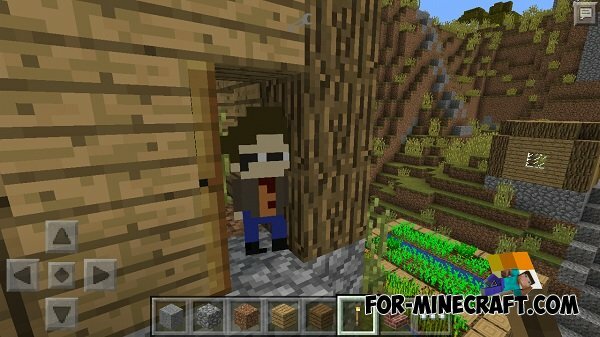 There is the most famous and cool server for Minecraft Pocket Edition - it HungerGames LBSG. This mod is associated with it! Absolutely all residents that are in your game world, change their appearance. Now they will have the skin of creator of the game server! If you hit a resident, then he will begin to answer you in the chat, and, of course, he has a cool texture!